Drop by Sekinchan market when we were on holiday in Sekinchan. 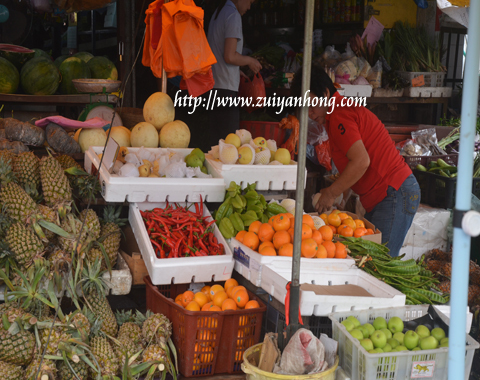 We stopped at this fruit stall to snap a few pictures. There was a pile of pineapple in front of the fruit stall. I think these pineapples are the crop of Sekinchan farmers. Pineapple has many health benefits. 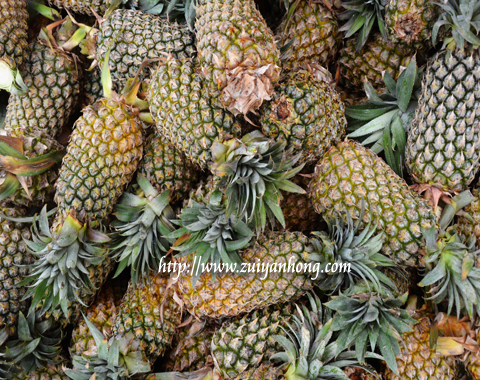 Take a piece of pineapple daily, your immune system will be in good condition. The advantages of pineapple include lose weight, skin brightening, lower blood pressure, prevent flu infection, relief bronchitis cough and solve constipation problem. Petai is available at one of the Malay stalls. 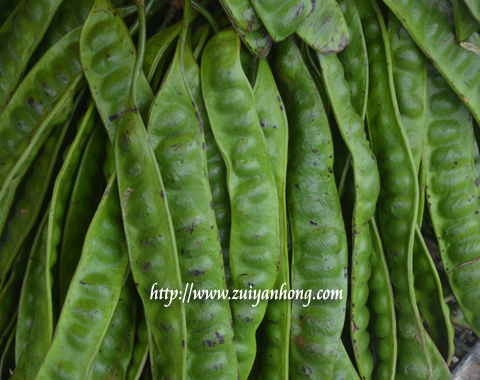 Besides being a food ingredient, petai is also beneficial to health. Sambal prawn petai is my favorite dish. Apart from that, sambal belacan petai, fried anchovy petai and sambal anchovy petai are delicious too.